MOSCOW, November 19. /TASS/. The flight of an astronaut from the United Arab Emirates (UAE) to the International Space Station (ISS) originally scheduled for April 2019 has been postponed because of the October 11 abortive launch of a Soyuz-FG carrier rocket but will take place next year in any case, head of Russia’s space agency Roscosmos Dmitry Rogozin said on Monday. 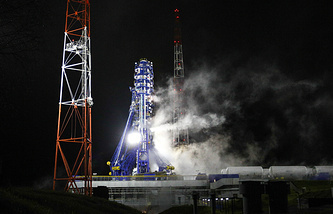 "The schedule has been somewhat altered due to the Soyuz accident. But I think we will fulfil our obligations concerning the flight of an UAE national in 2019," he said. Later, the UAE authorities made public the names of the country’s first astronauts: military pilot Hazza Al Mansouri and telecommunications engineer Sultan Al Niadi. One of them will fly to the ISS, with the other one on a standby crew. A contract with the UAE space center was signed on October 11. The flight of the UAE’s first astronaut was originally scheduled for April 2019. 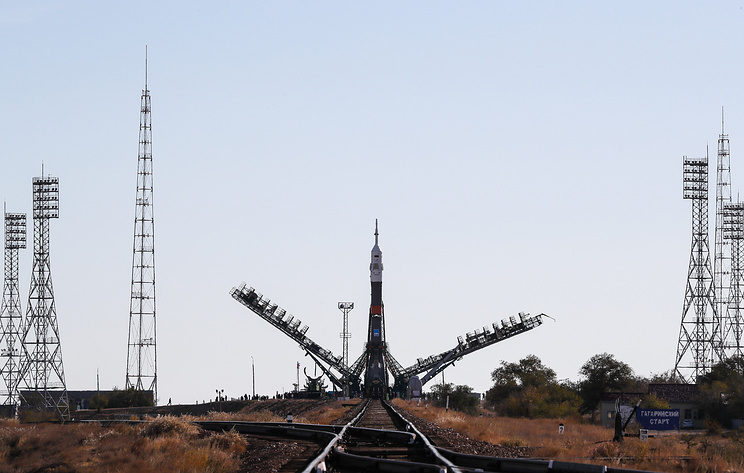 He was to spend about a week aboard the ISS and return to Earth with the Soyuz MS-10 crew.